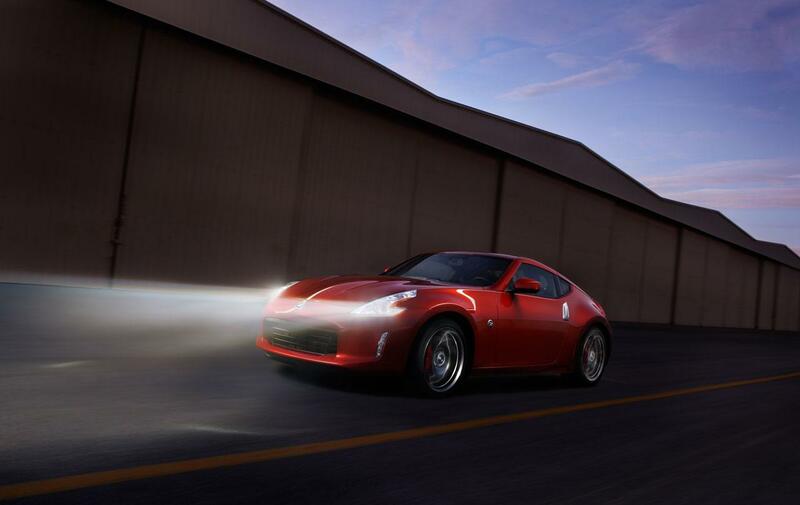 2015 Nissan Z: Light, lean, and a little less mean? When it comes to automotive design, tweaking and improving upon existing platforms can prove to be a tricky endeavor. Sure adding more ponies is always nice, but with the seemingly endless fluctuation in gasoline prices automakers are turning their collective attentions to making cars that are lighter, leaner and more fuel efficient. For enthusiasts this can make for difficult transitions as more and more companies are opting to drop heftier V8s and V6s in favor of smaller, turbocharged displacements. Case in point: the next Nissan Z. According to Inside Line, Nissan is already hard at work on a concept version of the 2015 Z that could appear at the 2014 Detroit Auto Show. In an interview with Nissan’s head of design, Shiro Nakamura, the next Z will likely be lighter and leaner than the current class. And we can’t say we’re surprised. The current 370Z coupe tips the scales at 3,314 pounds. Nakamura says the Z “cannot be any larger,” stating that the car is already “at its maximum weight.” We’re guessing that’s where the “lighter and leaner” aspects come into play, which is all well and good considering the current Z is burdened with an uninspiring EPA rated 19 mpg in the city and 26 mpg on the highway. But what about the power?! Well, that too could get downsized. In an effort to appeal towards a “wider audience” and with the Subaru BRZ and Scion FRS flying off the lots – offering up a heightened and engaging drive experience at a base price that is roughly $5,000 less than a standard Z — the course of actions seems to point towards ditching the Z’s current 2.7-liter VQ V6 for a turbocharged four-cylinder. In theory such a move should greatly benefit fuel economy and bring about a more competitive price point. Sounds good to us. Of course moving towards a smaller platform won’t be easy as Nissan will have to take into consideration certain production obstacles. Right now the Z shares its FM platform with the Infiniti G Coupe, G Sedan, and the Infiniti FX. Developing an entirely new platform won’t exactly be cost-effective, and from a production perspective could place the next Z at a disadvantage over the BRZ and FRS, which share a development platform. Whatever happens we’re certainly interested to see how the next Z incarnation turns out. Our inner speed-demon might be a little concerned over a potential loss in horsepower, but if Nissan delivers a light, lean, and just as mean Z with better fuel economy, well then, we’re on board.